Struggling to stay away from the snacks? 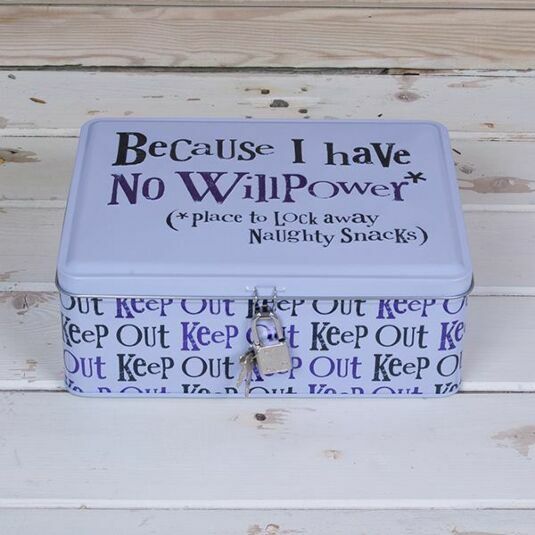 Lock them away in this handy tin from The Bright Side. Pack away the chocolate, biscuits and all those other naughty snacks. 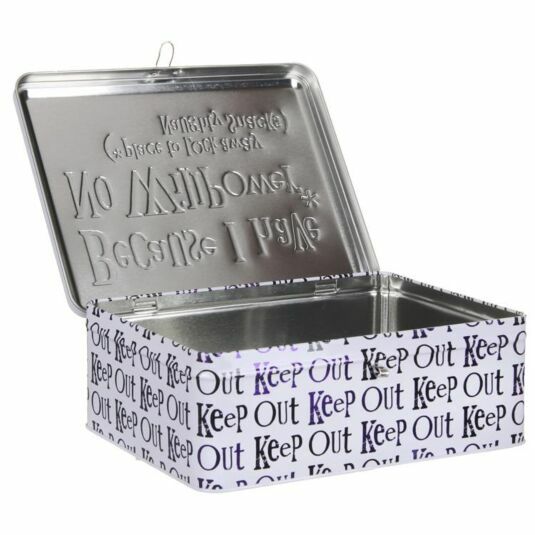 Complete with its own inbuilt security system the tin comes with a padlock and key set. Hide snacks. Hide key... Fight urge to break in 4 minutes later. 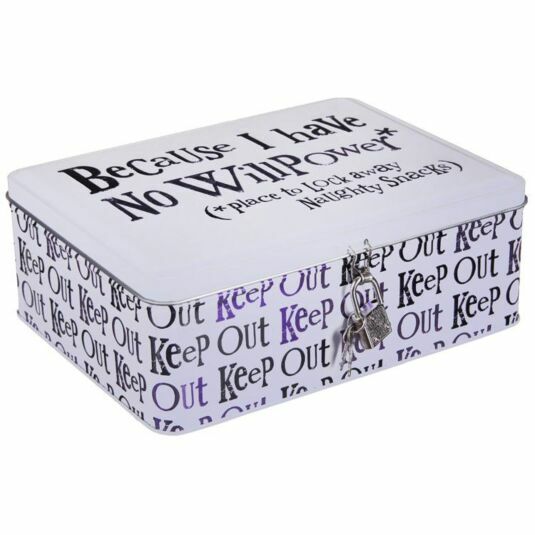 This tin is perfect for use at home, and your desk at work, especially in that drawer… yeah we know the one! 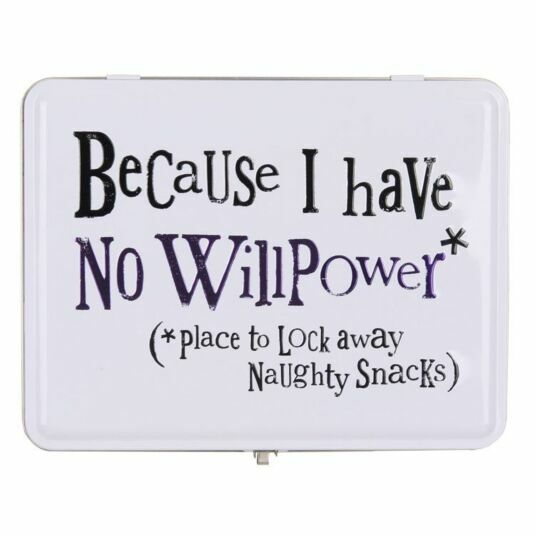 (*place to Lock away Naughty Snacks)"